I’ve noticed a growing trend of entrepreneurs contacting me with an intro referencing Inflexion’s good reputation at TheFunded. It’s usually a tone of congratulations. I think this is brilliant yet subtle and leverages yet another Jedi Entrepreneur power gained from social media (one of the earliest being the LinkedIn-enhanced, you-and-I-know-the-same-person cold call heater). Maybe the entrepreneur really is impressed by Inflexion’s ratings, but, just maybe, he/she is using the Jedi Entrepreneur Mind Trick to influence the ‘weak-minded’ sentient beings, VCs. Such an email immediately puts the VC on notice that you are aware of TheFunded and you buy into the VC reputation-system it embodies. VCs who actually care about entrepreneur opinions are then susceptible to the Force persuasion. 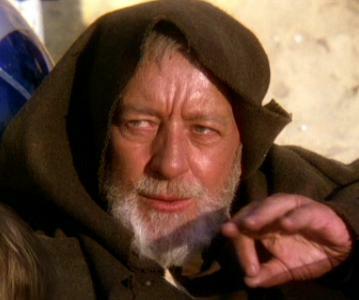 Just as Obi-Wan Kenobi was able to say “These aren’t the droids you’re looking for” and make it so, the Entrepreneur is then able to say “Your fund has a great reputation for thorough review, thoughtful feedback and value-added intros”. And guess what, chances of getting that thorough review, thoughtful feedback and value-added intros jump considerably. Just as the Force couldn’t create matter from non-matter, I’m not sure this force can make checks appear — but it could increase/speed your chances of changing the world. Now, I’m not admitting to being in the “other ‘weak-minded’ sentient beings” category. But, I’d love to hear whether some real-world tests with various VCs can prove the power of TheFunded and the Jedi Entrepreneur Mind Trick. If it has no effect, only you can decide whether to cross over and use TheFunded for the dark side.